In 2005 Alpina introduced the B5 powered by a supercharged 4.4 litre V8 producing 500 hp (373 kW; 507 PS) and 700 Nm (520 lbft) of torque. It was available only with 6 speed ZF transmission. Top speed is 314 km/h (195 mph) and 0–100 km/h time is 4.7 seconds - same as the E60 M5. 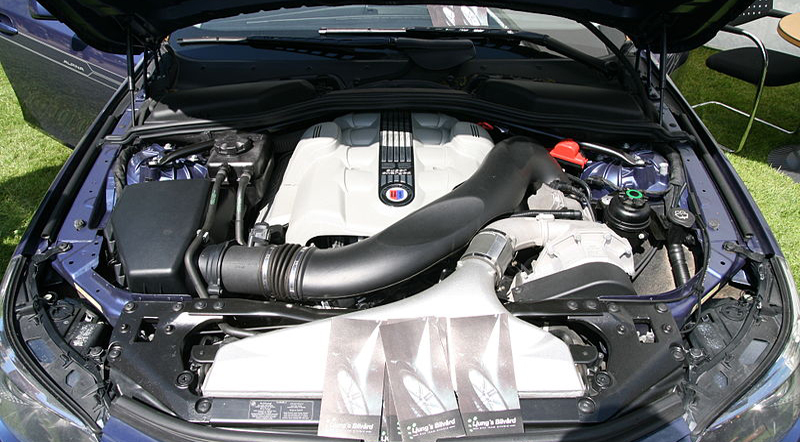 The BMW M5 is powered by a 5 litre V10 engine. Revving to 8250 rpm, the engine produced 507 hp (378 kW) at 7750 rpm and 520Nm (383 lbft) at 6100 rpm. 0–100 km/h time is 4.7 seconds (although this has proven to be a conservative number. Tests have shown it to be capable of 4.1 seconds with the 6-speed manual and possibly faster with SMG's launch control program) while top speed is limited to 250 km/h (155 mph). 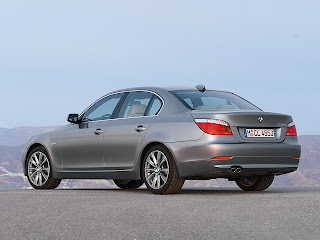 It is an armoured version of BMW 5 Series sedan with ballistic protection level B4. It included a choice of 367 PS (270 kW; 362 hp) V8 (from BMW 550i) and 258 PS (190 kW; 254 hp) I6 (from BMW 530i) engines, high-performance fibre composites (aramid, polyethylene) and special-purpose steel reinforced chassis, 21 millimetres thick glass with a polycarbonate layer for the windows. The vehicle was unveiled in 2005 Frankfurt Motor Show. It is a version of 5 Series vehicle designed for police forces, fire services and emergency rescue services. It included firearm bracket in the rear center armrest. The development programme for the E60 began in 1997, concluding in 2003. The final design, penned by David Arcangeli under the directorship of Chris Bangle, was approved in 2000 and German design patents filed on April 16, 2002. While its predecessor shared many similarities to the 7 series, the E60 was different from other BMWs in production at the time. The E60 is longer, wider, heavier and higher than the previous model, which translates into more interior and trunk space. 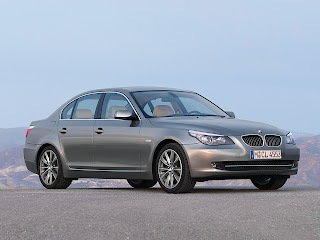 The E60 introduced a different design language to the 5-series line with a much rounder body and an interior, while not driver-oriented like in the E39, is flat like in the E65 7-series with an LCD display, basic buttons and the iDrive system. 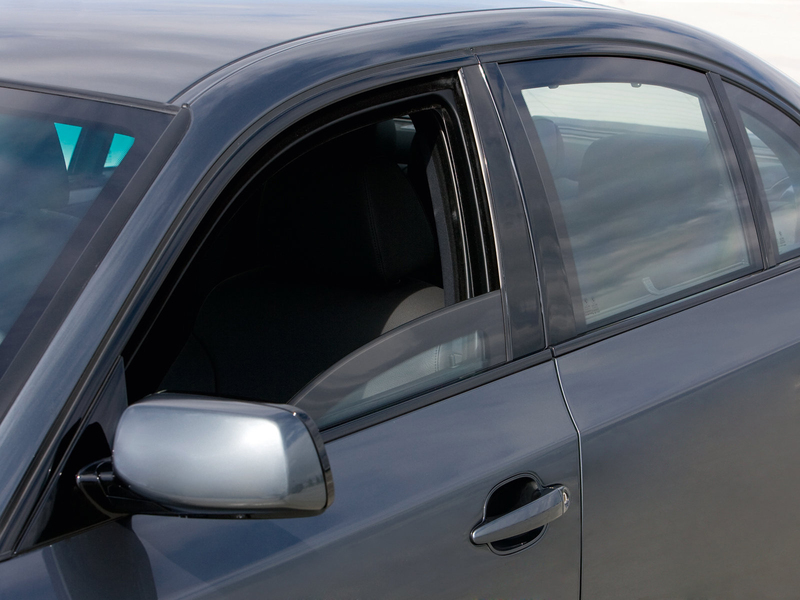 The E60 received much acclaim from the automotive community, prompting aftermarket companies that specialized in BMW modifications to produce aftermarket parts for the E60. Companies produced copies of the M-Sport parts for the E60. Hamann, AC Schnitzer, Hartge, Dinan parts also started to flood the market as these companies realized the parts were in high demand. Soon enough, many companies started to make replica parts that were being produced, again due to the high demand for inexpensive quality parts. Furthermore, many performance companies also started to produce parts to increase the power of the already swift E60. A derivative of the E60 is the E63/E64 which forms the iteration of the 6 Series coupe. 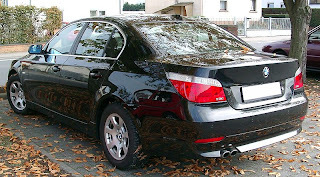 A factory-stretched long-wheelbase version of the E60 5-Series was offered in China, as a response to the Audi A6 L. It offered much of the rear legroom of a large executive saloon (e.g. BMW 7-Series or Mercedes-Benz S-Class), but in a cheaper, simpler model. As of 2009, trim levels included the 520Li, 523Li, 525Li, and 530Li. E60 body was made using aluminium for the front of the car, and steel for the passenger cabin and rear thus making 50:50 weight balance. E60 was available with BMW's xDrive system in 525xi, 528xi, 530xi, 535xi, 525xd and 530xd models. 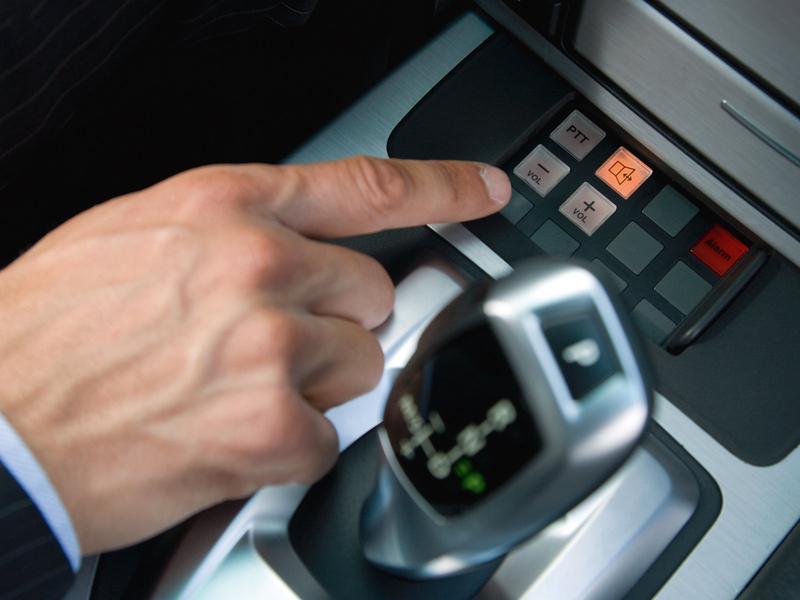 Its iDrive system has been simplified from the system in the 7 Series. It can be ordered with a full array of options such as active cruise control, head-up display, active steering, and the Harman Kardon Logic7 stereo system. 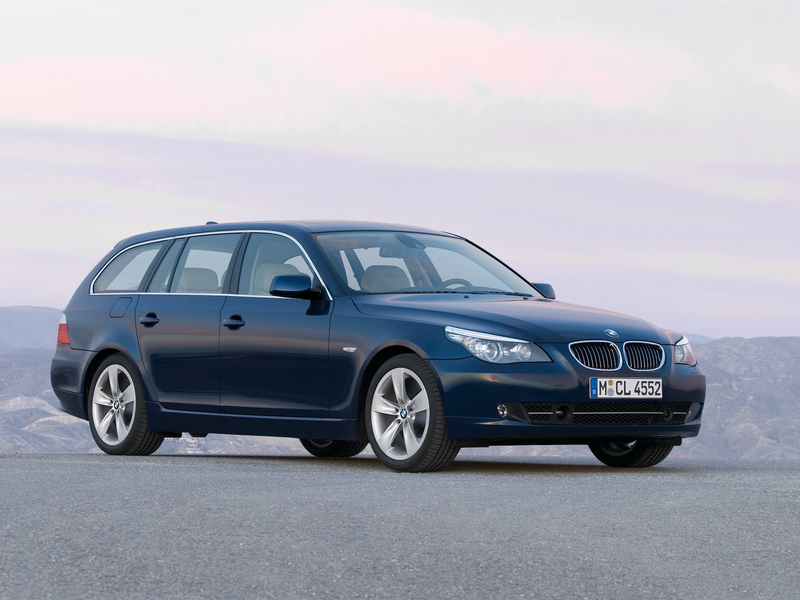 Other available equipment in E60 was ESP, BMW Dynamic Stability Control (DSC), Voice Control, Adaptive Headlights, BMW Night Vision, Active Headrests, Xenon headlights, Run-flat tyres and other equipment typical for luxury cars. Equipment in E60 was always upgrading, Active Cruise Control with Stop & Go function, Adaptive Headlights, LED rear lights, Lane Departure Warning, Brake Force Display was available few years after the introduction. Initially the 5-series received a three-star rating for adult occupants. However changes were made to the steering column, footrest, door trims, door latch, airbags and electronic software and the car was retested achieving its four-star rating. 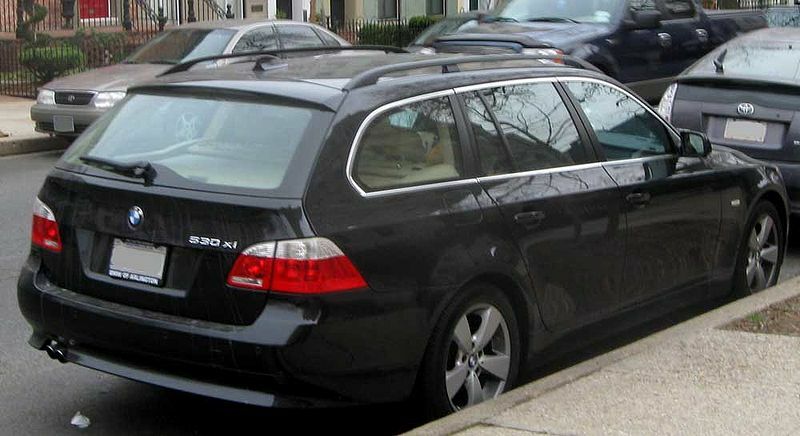 BMW claims the modifications improved the car's EuroNCAP score, not the vehicle's safety; consequently BMW chose not to recall the earlier-built cars. The American Insurance Institute of Highways Safety (IIHS) gives the 5-series a "Good" overall rating in frontal collisions but a "Marginal" overall rating for side impact collisions. The IIHS reported their side impact test would likely cause driver related rib fractures and/or internal organ injuries. The IIHS tests were conducted on models built after May 2007; these models had modifications to improve side impact safety. BMW 5 Series Security was manufactured alongside the series model at BMW's Dingolfing plant, with armouring prepared before being shipped to a specialist facility in Toluca, Mexico, where the vehicles complete the final assembly stage. The LCI (Life Cycle Impulse) model was released in 2007. This LCI model included a facelift of the front and rear end of the vehicle. This update included a new front bumper, fog lights, headlights, tail lights and trunk. The interior was also slightly remodelled as well and included changes to door handles, position of power window buttons, updated iDrive with shortcut buttons(for late 2008) models, sleeker gear change lever for the auto transmission. 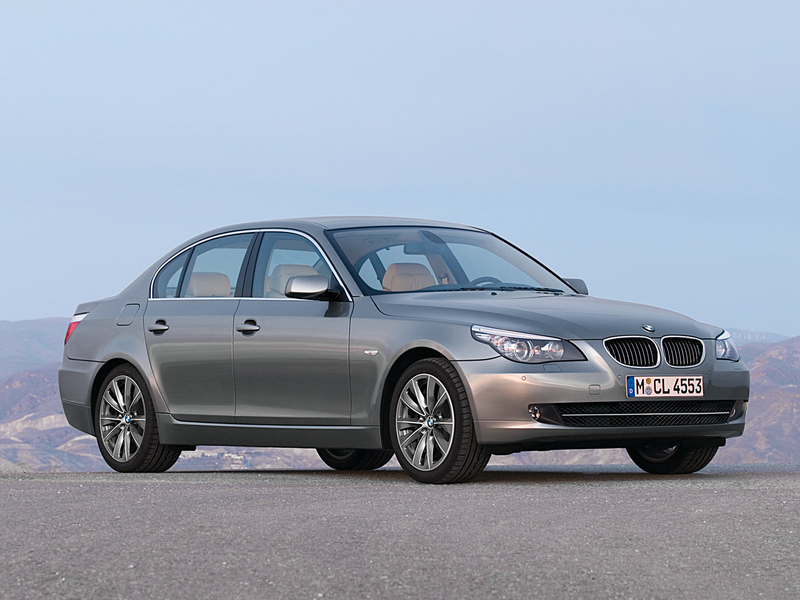 Besides these changes, the 5 Series gained new engines, transmission and an updated iDrive from the BMW X5. BMW Alpina B5 S is a version of BMW 550i with 4.4 litre engine with radial compressor, Alpina Sport SWITCH-TRONIC transmission (based on ZF 6HP26 TÜ), electronically-controlled adjustable damping (developed with SACHS Race Engineering), 374mm/36mm front and 370mm/24mm rear brake discs with two-piston TEVES floating callipers, drive-by wire shift lever. B5 S Saloon includes 20-inch wheels with Michelin 245/35 ZR20 front and 285/30 ZR20 rear tyres (optional 19-inch wheels with 245/40 ZR19 front and 275/35 ZR19 rear tyres). B5 S Touring includes 19-inch wheels, a rear roof spoiler lip. It is an armoured version of 5-Series sedan with VR4 ballistic protection level. It included rust-proof chrome-nickel steel at the gaps and borders of the synthetic fibre mats, optional shatter protection element at underbody, aramid mats at roof and the body columns and for the front wall to the footwell and the back wall, polyethylene protective mats in the areas of the doors, chrome-nickel steel protective mats bordering, 22 mm thick polycarbonate coating and multi-layered glass compound window, electronics box in the engine compartment protected by aramid panels, optional xenon headlamps and Adaptive Headlight, optional Night Vision with 300 metres range, optional rear view camera, an intercom system and an attack alarm. 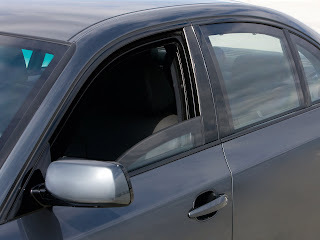 Early models include BMW 530i Security and BMW 550i Security. 272 PS (200 kW; 268 hp) @?, 315 N·m (232 lbft) @? During its lifetime E60/61 used 24 different engines in 13 models. 528i and 535i were available only in North America with rear-wheel drive or xDrive system. 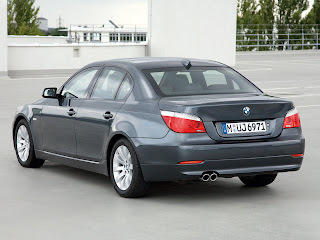 First straight-4 engine used in this five series was the 2-litre M47 diesel engine introduced in 2001 on E39 520d model. Fuel capacity of E60/61 is 70 litres. The basic model is available from the start of production. It used M54B22 engine from BMW E39, it was replaced by the 523i in 2005. Two years later 520i badge returns with four-cylinder N43 engine to more efficiently while producing the same amount of power. 520i replaced 523i and become basic petrol model. As BMW reintroduced 520i in 2007, 523i needed more power. N52 engine was replaced by new N53. 525i changed three engines during its lifetime. Initially use the old M54B25 which was replaced by N52B25 in 2005. Last three years of production 525i used newest N53B30 engine to produce the same power at lower revs and more torque. This model used same engines as 525i but in stronger versions. V8 engine of 4-litre capacity was used in 540i during its whole lifetime. Touring was not available with this engine. From 2003 to 2005 this was the top of the line 5 Series model. It used the N62B44 engine. It was replaced by 550i in 2005. In 2005 the N62 V8 engine was upgraded for the last time. The B48 version produced 367 hp (274 kW) from 4.8 litres. In 2007 528i replaced 525i. Then new N54 engine with twin-turbos was used in 535i model from 2008 to the end of production. Touring was not available with this engine. 520d was introduced in 2005 using M47 engine which produced 163 hp (122 kW). In 2007 520d gain new diesel N47 engine. All other models used BMW M57 engine in different versions. 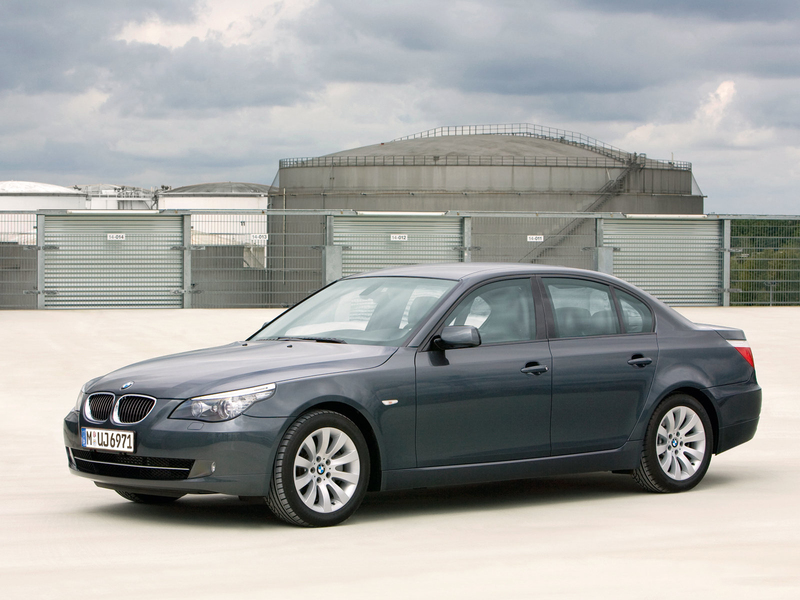 When introduced E60 was available with 6 speed manual or automatic Steptronic transmissions. SMG Sequential Manual Gearbox was available soon for drivers who wanted manual gearchange without clutch. During facelift SMG was replaced by new six-speed Sport automatic transmission Steptronic which was smoother and more precise. 535d model was available only with six-speed automatic Steptronic transmission. Units sold according to BMW's annual reports. Touring model launched in May. 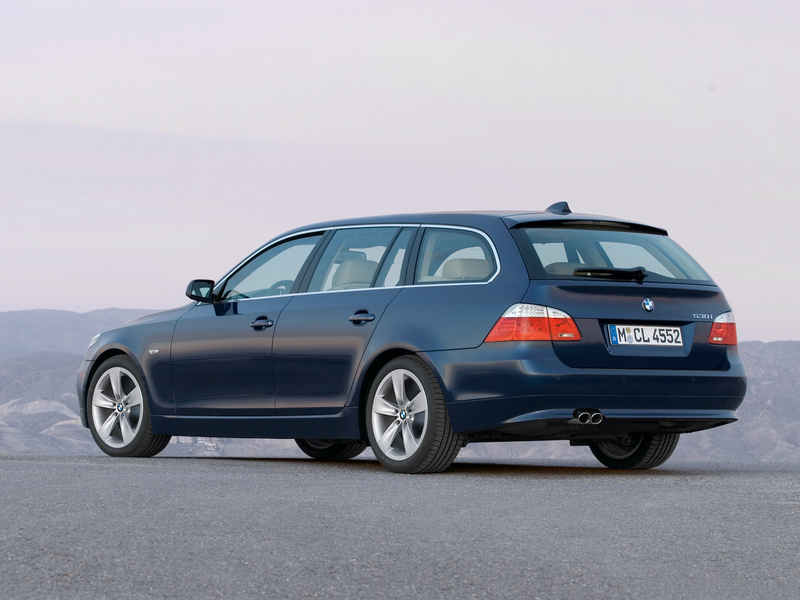 BMW had produced 20,548 M5 with V10 engines, with 19,523 M5 Saloon and 1025 M5 Touring. For BMW M Saloon, 8800 vehicles were sold in the United States, followed by Germany (1,647 units), Great Britain and Ireland (1,776 vehicles), Japan (1,357 units), Italy (512). For BMW M5 Touring, 302 were sold in Germany, followed by Great Britain and Ireland (208), Italy (184). Last updated on 23 July 2013 at 16:29.